← Save the Railroad Through the Adirondacks! of New York intact for future generations! Having just read the TRAINS Magazine article about the plight facing the Adirondack Scenic Railroad I am totally dismayed at the position of local, county government and trail groups! Continue the fight to save this railroad! It is a wonderful piece of history which is obviously being used by close to 75,000 people annually. Families and their children need to experience this so important part of our U.S. history. When ever my husband and I look for a vacation destination, the availability of a train ride is the major factor in the planning process. Neither of us is interested in traveling with a bicycle. 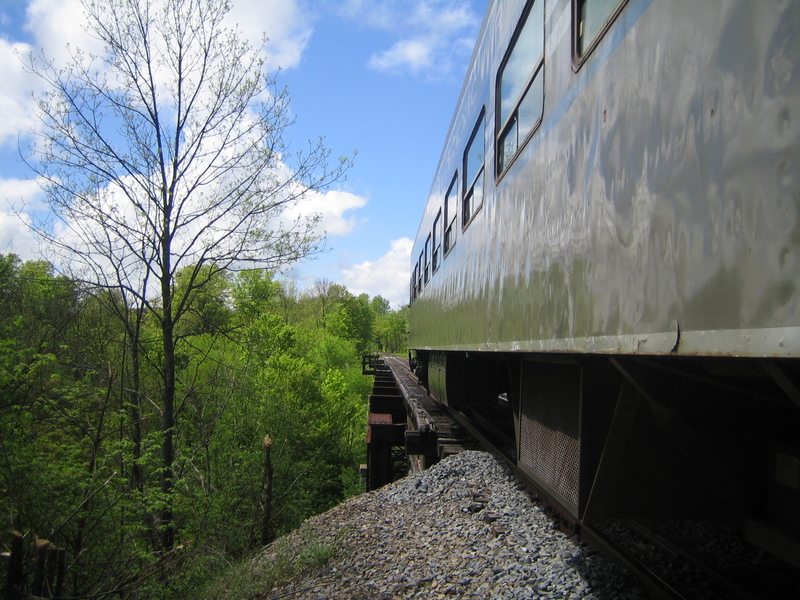 Our local train, the Western Maryland Scenic, is a rails and trails arrangement that is working well. Bikers wave at the train and some even race the train. Rail and trails can co-exist in harmony. There are abundant options for bicycle rides but relatively few scenic train rides. If a rails and trails option is available please don’t take away our right to ride the train. Leave the Rails! !.How many years have they been there and now ya want to tear them up? ?..